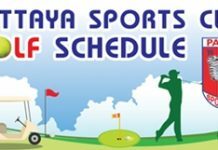 A new golfing week began for the Pattaya Golf Society with a trip to Khao Kheow to play a stableford round on the course which was in fine condition with quick greens. The large field got away on time and the day stayed fair if humid throughout. 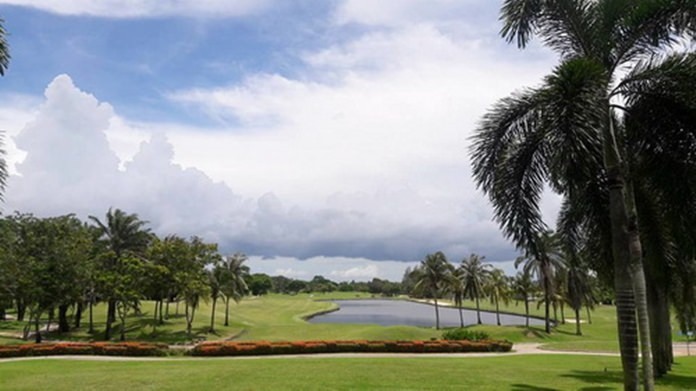 Khao Kheow Golf & Country Club. Scoring, for some reason became a problem, and the average across the field was only 27+ points, which is low when compared with the PGS average. Murray Edwards returned the only birdie ‘2’ on the day, a fine putt on A5 securing the honour. In third place was Simon Kendall with 34 points and Kevin Timbrell saw a renaissance in his game with 37 points for second place. Once again Mike Firkin impressed with some long and accurate drives and finished with 38 points for the win. Back at a bar in temporary chaos, in an effort to get the Links ready for the new owner’s opening day event on Wednesday, the golfers enjoyed a convivial presentation which saw warm welcomes offered to Greg Gawron and Jim Ferris whilst Kevin LaBar took his leave after his first experiences of golf with the PGS. He will be back for more, for sure! The Pattaya Golf Society ended a hectic week with a visit to Pleasant Valley on Friday, 9th September to play a stableford competition from the blue tees. The day was hot and breezy and the course was in good condition except that the fairways were soft and greens were patchy and recovering from repairs. Scoring would not be easy as results would show. In third place was Simon Kendall, playing his final round this trip, with a solid round of 32 points whilst Masa Takano and Mr Len shared the win with 33 points each. There were no birde ‘2’s on a day when putting held the extra challenge of slow greens, which are a feature of the course. The empty course meant an early finish to the day and a relaxed drive back to town. Next week things would be different with trips to Treasure Hill and Bangpra the main feature.